Addo offer the Big 7 (Elephant, rhino, lion, buffalo, leopard, whales and great white sharks). With 450 Elephants roaming wild in the Malaria free Addo National park, the park draws thousands of tourists from around the world annually. But Addo offer more than just elephants, you will also see Buffalo, Rhino, Kudu, Eland, Warthog and a variety of buck from different species. Addo are perfectly spread over 5 major vegetation biomes and just 75 Km North of Port Elizabeth. Apart from the Fauna & Flora, you can also view archaeological and historical sites. Many game drive options are available and last normally 2 Hrs. All game drives are done by highly qualified game rangers on open 4x4 vehicles. Other options like horse riding, hiking & 4x4 trails and bird watching is available. Visitors can enter the Addo National Park from 7 am and gates closes at 7 pm. On the banks of the Kabeljous river, just North of Jeffreys Bay lies the 250 Ha Nature reserve. The Kabeljous Nature reserve bring together a part of the Kabeljous river, the estuary, wetlands, valley bushveld, 2.5 Km coastline and sand dunes into a diverse reserve for visitors to enjoy. With rainfall of 500+ mm annually, the area has a temperate climate, perfect for hiking (Two hiking trails available and range from 3 – 7 Km). The rich fauna & flora features; bushbuck, bush pig, Blue Duiker, Grysbok, Rooikat and lots more. More than 100 bird species found a home here and is perfect for birding. The Noorsekloof Nature reserve comprises of just more than 28 Ha. The reserve is home to the giant Euphorbia Triangularus & Milkwood trees amongst the valley bushveld and thickets. Visitors to the reserve should embark on the short, 3 Km hiking trail where they can easily spot birds like the Knysna Woodpecker& Loerie, Paradise Flycatcher and more than 40 other species of birds. By far one of South Africas best parks and world renowned for its breathtaking beauty. 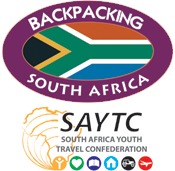 Situated on the Garden Route, 70 Km East from Plettenberg Bay, and 180 Km West from Port Elizabeth. Tsitsikamma meaning “Place of much water”, a perfect name for this evergreen coastal park that stretches for 80 Km along the coastline of South Africa. Tsitsikamma National Park consists of Temperate Forest, Fynbos and the Indian Ocean on the South. This is a birding paradise where visitors can look for the elusive Knysna Loerie or just follow the Cape White-eye as he jumps from branch to branch. Along with the fauna & flora the Tsitsikamma National park offer visitors many heritage sites; Khoisan caves, Shell middens and original rock art. Gates open just before six in the morning and only close at nine thirty in the evening. Robberg Nature reserve is situated on the outskirts of Plettenberg Bay. The reserve is a hikers paradise with no less than three trails to choice from, but should be done while taking great care. Hikers are encouraged to wear proper hiking shoes and bring along sun protection and enough water. Robberg Nature reserve stretches 1 nautical mile into the Indian Ocean right around the rocky peninsula. This is a wonderful whale and dolphin view point for visitors to the area. Rock & surf angling are allowed within the reserve but must be supported by a valid permit from Marine and Coastal Management. The Knysna lakes area is perfectly located in the Garden Route, a world class holiday destination, home to the Knysna Loerie and endangered Knysna Seahorse. Knysna heads is the dangerous entry point into the harbor and lake area where boat trips can be enjoyed together with fishing, canoeing, hiking and birding. The Knysna lake area is a major drawcard for visitors who love the great outdoors and enjoy water sport. The Wilderness National Park is a water dream destination with rivers, lakes and lagoons framed by evergreen trees & ferns. This is the perfect destination for people who love water sport like canoeing & fishing or just relaxing alongside the water’s edge. Birding is also a favorite pastime for tourists visiting the park, with no less than 5 Kingfisher species to spot. Wilderness is situated West of Knysna and just a short scenic drive from George and Knysna. The park is also close to the pristine beach and could be bundled together as a one day outing.